6 6 In all this you greatly rejoice, though now for a little while you may have had to suffer grief in all kinds of trials. 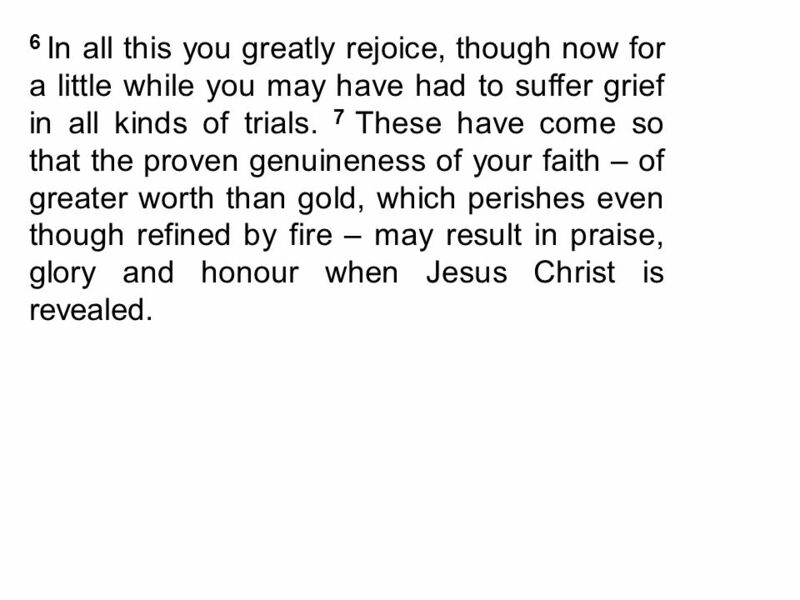 7 These have come so that the proven genuineness of your faith – of greater worth than gold, which perishes even though refined by fire – may result in praise, glory and honour when Jesus Christ is revealed. 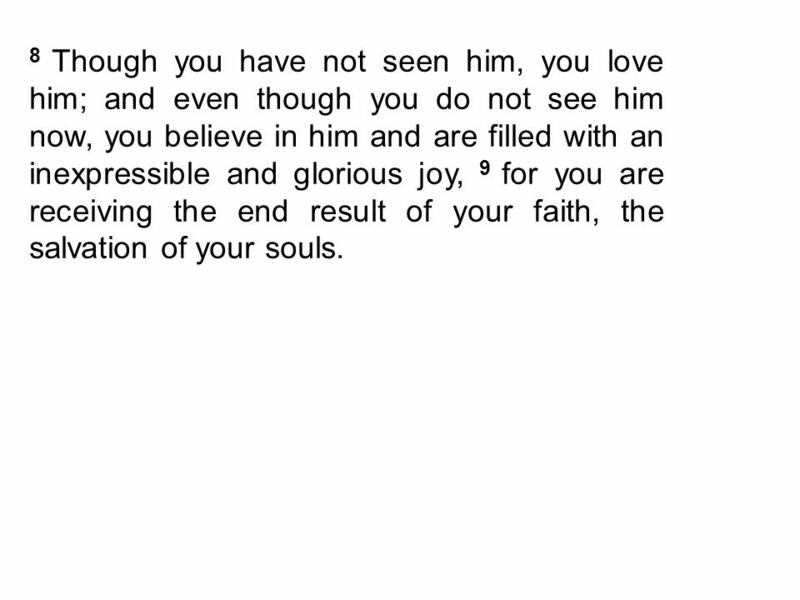 7 8 Though you have not seen him, you love him; and even though you do not see him now, you believe in him and are filled with an inexpressible and glorious joy, 9 for you are receiving the end result of your faith, the salvation of your souls. 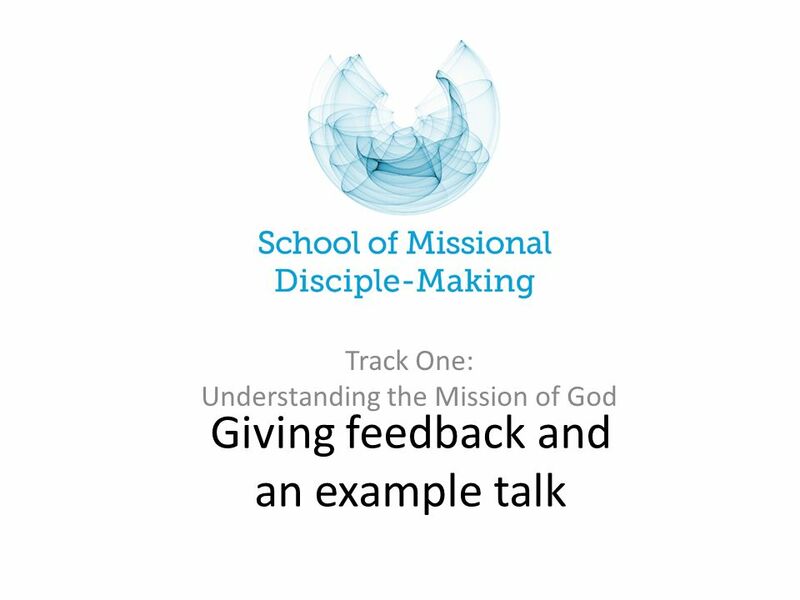 Download ppt "Giving feedback and an example talk"
The Hope That Sustains Us 1 Peter 1:3-12 I. The Nature of our Hope. 1 Peter 1:3-9 Praise be to the God and Father of our Lord Jesus Christ! 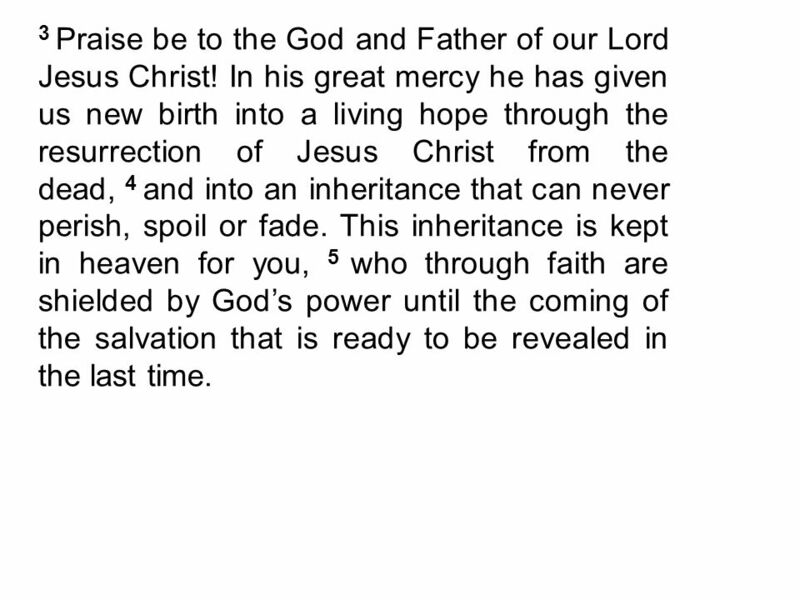 In his great mercy he has given us new birth into a living hope through the resurrection. 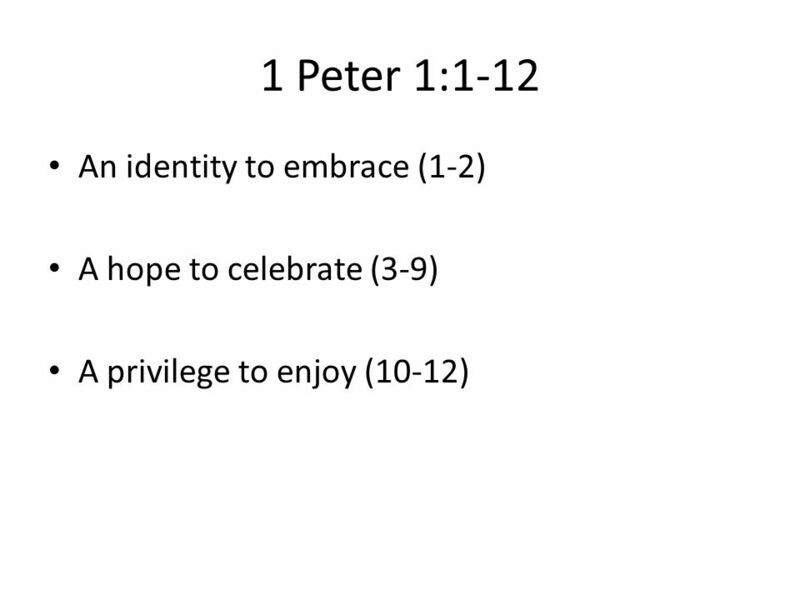 The Right Way to Suffer 1 Peter 4:12-19 Dec. 9, 2012. Make Your Happiness Complete. Conversation 1: Happiness in the Presence of Conditional Happiness. September 14, 2014 Introduction & The Question of Salvation. 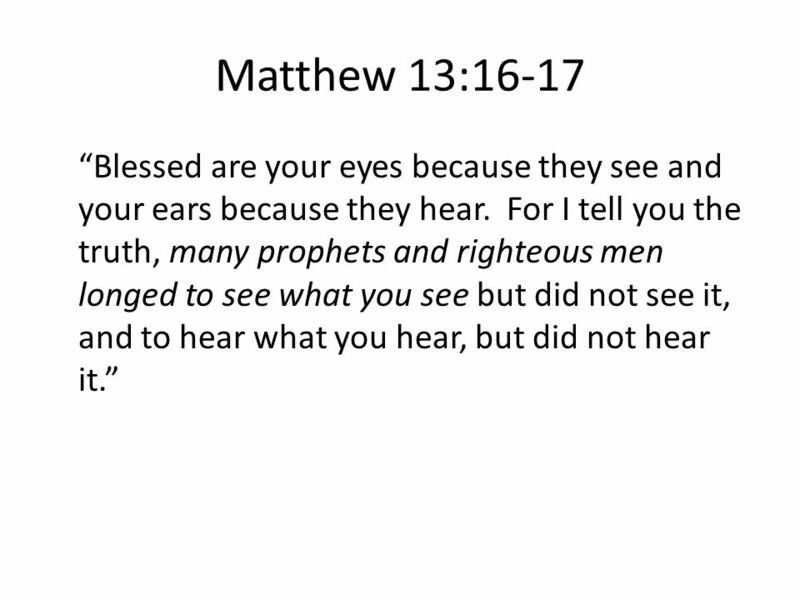 Matthew 5:10-12 “Persecuted”. T ODAY IN N ORTH Korea, an estimated 30,000 of our brothers and sisters are suffering unspeakable tortures in four concentration. 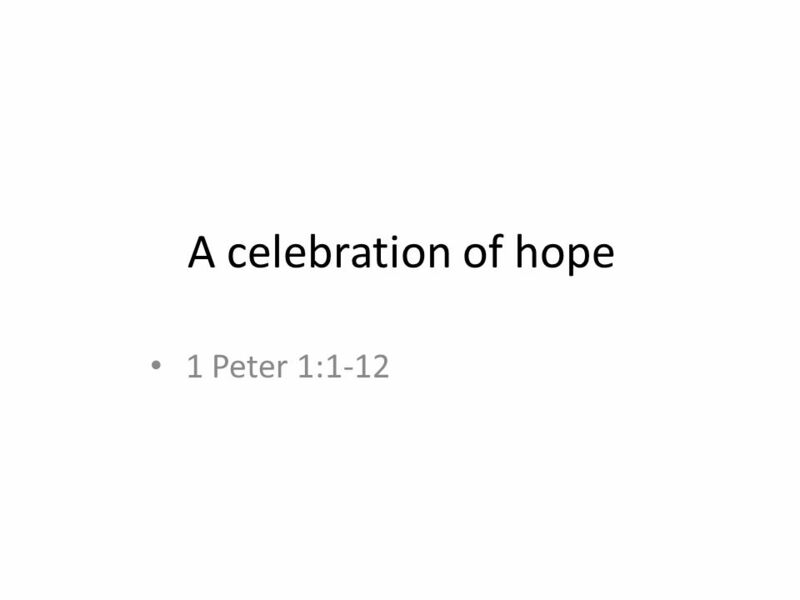 The message 1 peter 1:3-9. I. Our Hope in Christ Enables Us to Rejoice in Trials 1 Peter 1:6 (NIV) – 6 In this [your living hope] you greatly rejoice, though now for a little while. 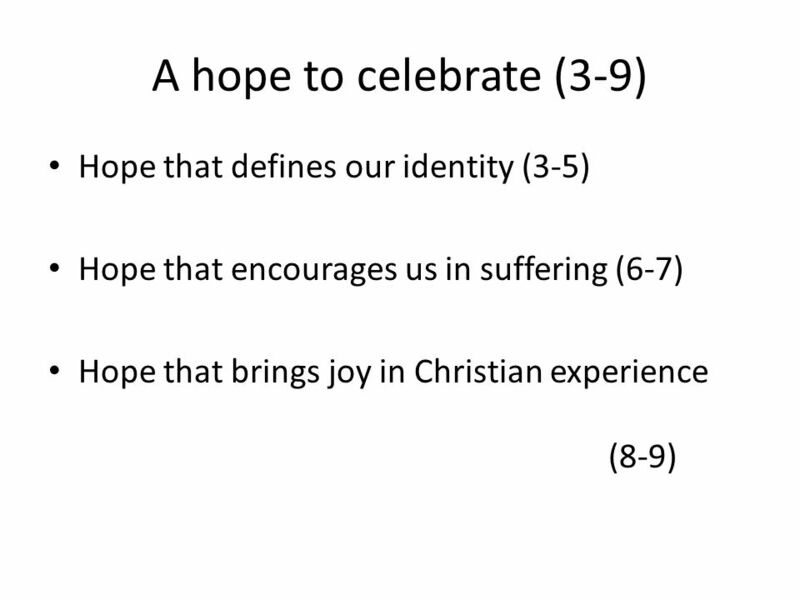 Defining Joy March 8 th 2015 Sermon 1 of 3. Joyous People! 113 New Testament 335 Old Testament. Focused Faith July 13. Admit it now … What situations tend to rattle you? There are plenty of things that can get us rattled or upset. – But, we can find. Kenya Well Written in Red: Rediscovering the Words of Jesus In the World you will have trouble. Distorted Images Now & Forever?. 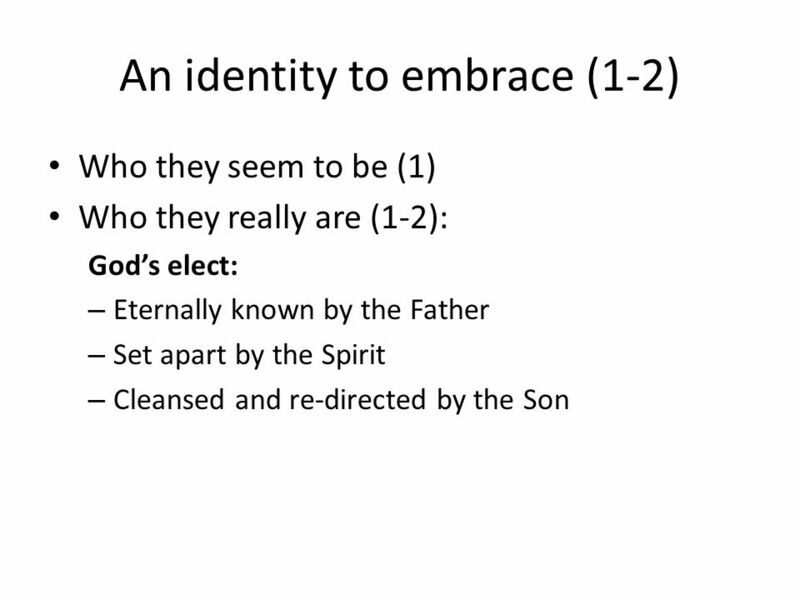 Who we are Ephesians 2  Heir of God  Co-heir with Jesus  Not dead but alive  Raised & Seated with Christ 1Peter 2. Are our expectations of life realistic? Can we really expect life to be good, and easy, and comfortable, and painless? Isn’t it more realistic to expect. 1 Peter 1:3-5 3 Praise be to the God and Father of our Lord Jesus Christ! In his great mercy he has given us new birth into a living hope through the. OUR MISSION: To guide those far from God into the new start found in Jesus Christ. I Corinthians 1:30 - God has united you with Christ Jesus. For our benefit God made him to be wisdom itself. Christ made us right with God; he made us.